I’ve made brisket before, but it was a *very* involved process with a dry rub, slow roasting, refrigerating and reheating. Talk about effort. 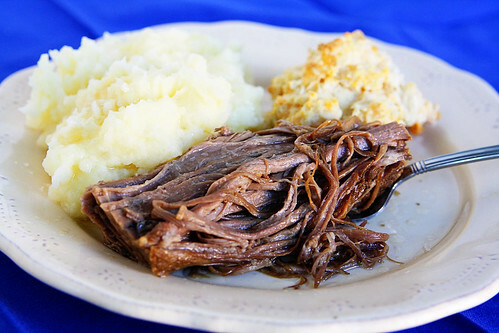 When I recently cooked for my *entire* family (we’re talking eight adults and two children) I knew I wanted to try a simpler recipe for beef brisket. As always, the Pioneer Woman didn’t let me down! 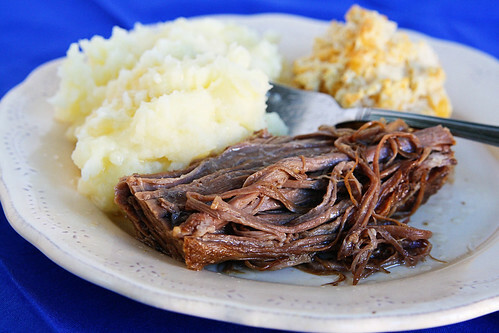 This is an easy brisket recipe that was very tender and juicy. It has a very soy sauce-y taste to it, but the boys in my family gave it a thumbs up! 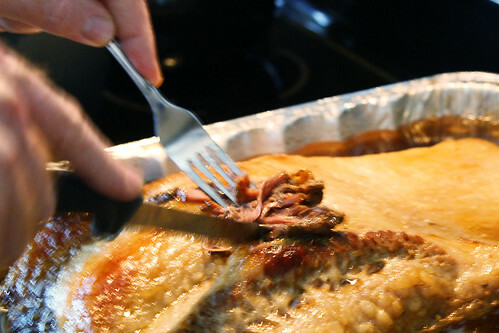 Combine the first five ingredients in a disposable aluminum pan for the marinade. 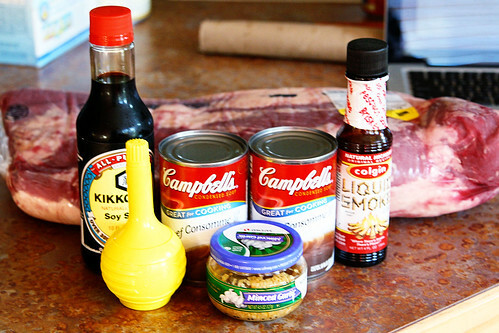 Add the brisket to the marinade, fat side up. 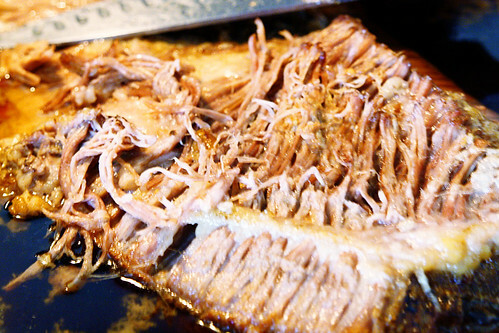 Pour a little of the marinade on top of the brisket, to coat it. 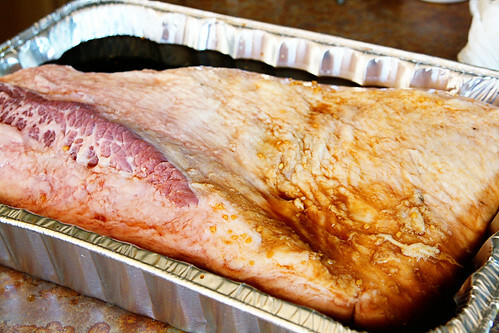 Cover with aluminum foil and refrigerate for 24-48 hours. Once it’s had time to set, place in 300-degree oven and bake covered for 40 minutes for every pound. 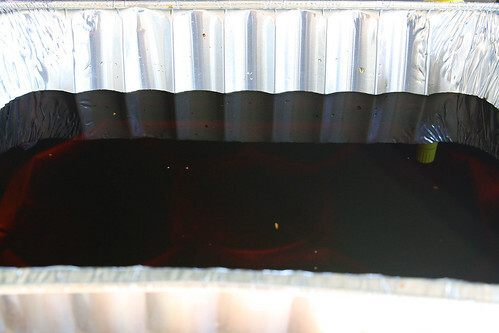 Remove from heat and cut off the layer of fat. Slice against the grain to serve. Mine was so tender, it just fell into pieces when I tried to slice it.